The Cognac Distillery houses an articulate gallery of brew that specifically showcases a variety of cognac to its consumers. It is located in the city of Ningbo in China. 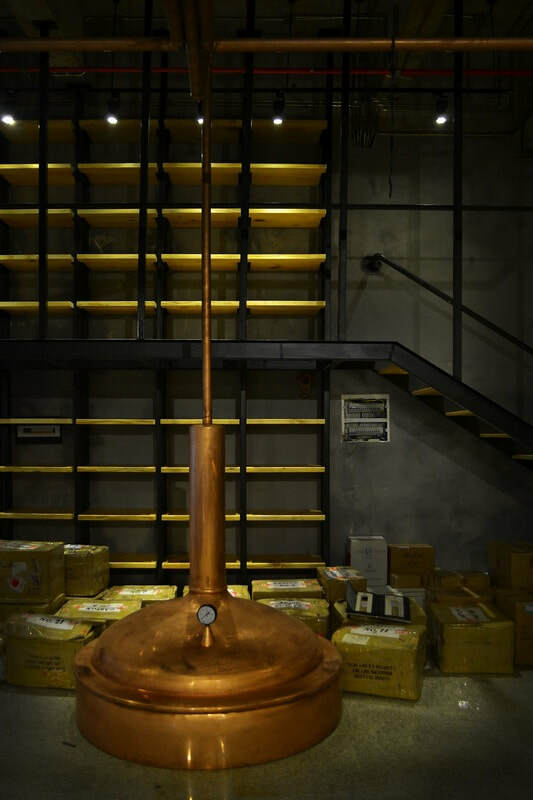 The retail distillery's design revolves around delivering the idea of cognac enthusiasm, it was taken into high consideration that the target audience would be that of cognac connoisseurs.​ For its setting, it is one of a kind type of retail; due to the locally low supply of cognac in the country. 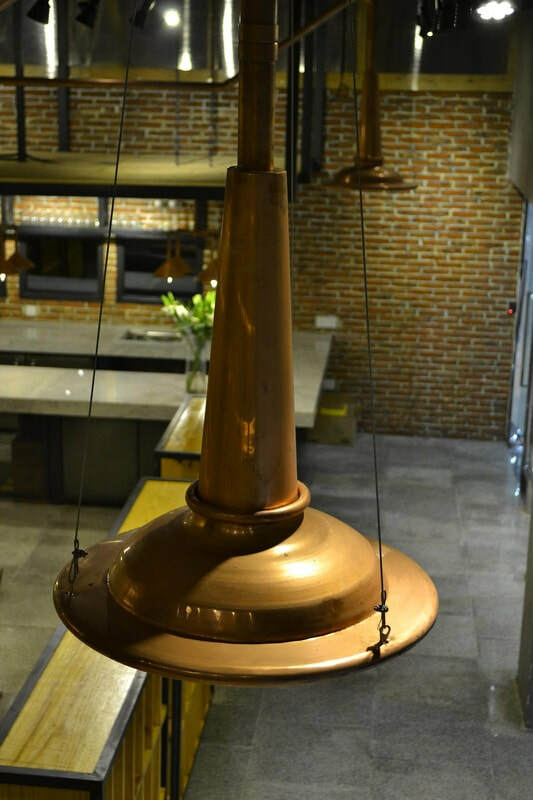 Although not functional, the cognac distilleries serve as a key furniture/design input within the space; it serves as an homage or tribute of sorts to the traditional mechanisms of cognac brewery. The space provides one with a rich experience of fulfilled cognac oriented satisfaction.